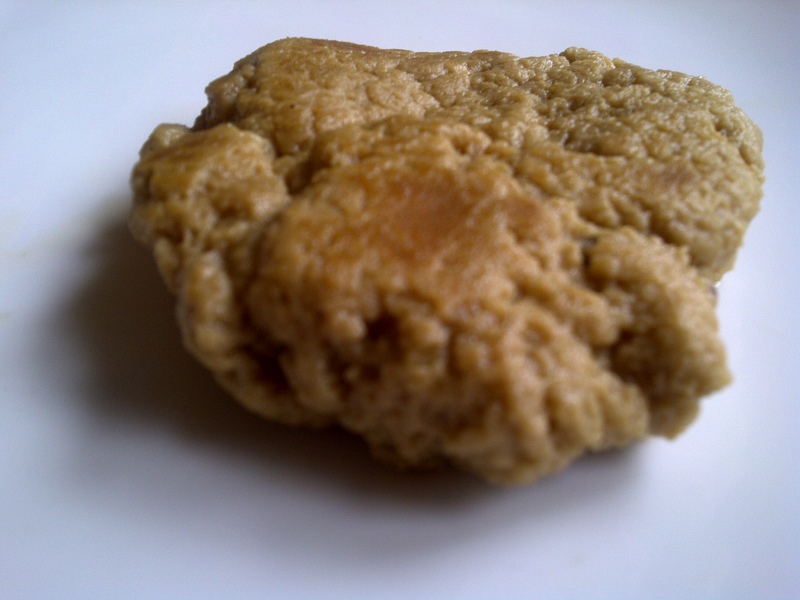 Seitan Cutlets – Health Freaxs Unite! I love me some wheat meat! Seitan is probably one of my favorite vegan meats, and it’s so much better home made. Plus you can use it just about anywhere to veganize your favorite meat recipe! The Seitan Cutlets (pg. 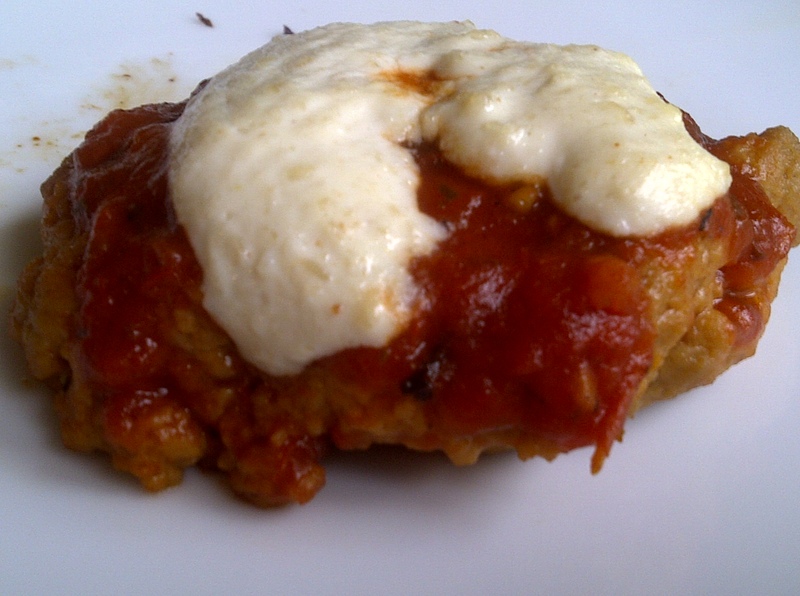 132) where incredibly simple and delicious! They were chewy and meaty and just over all an incredible version of seitan. Its a bit denser than the Simple Seitan i made earlier, but i think i like it that way. Maybe if i could find some way to make this stuff a bit tougher and less chewy, and i’d be good to go. All you pretty much do is knead some wheat gluten dough and bake it in a 9×13 with some flavoring liquid. That’s it! I saved my liquid and reused it a couple of times for more seitan and even as a broth substitute! Top it with a some marinara sauce and pine nut cream and you’ve just made the perfect seitan parmesan!!! What is your favorite use for seitan? Non-Chicken Noming Health Freax Unite!